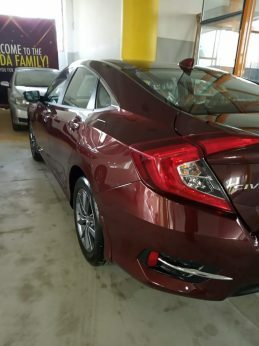 Honda Atlas launched the 2019 Civic facelift in Pakistan yesterday in an event held at Royal Palms Lahore. Apart from the new LED headlamps and the 1.5 liter Turbo variant which gets a new ECM module, the changes made to the facelift in Pakistan are minimalistic and mainly cosmetic in nature. 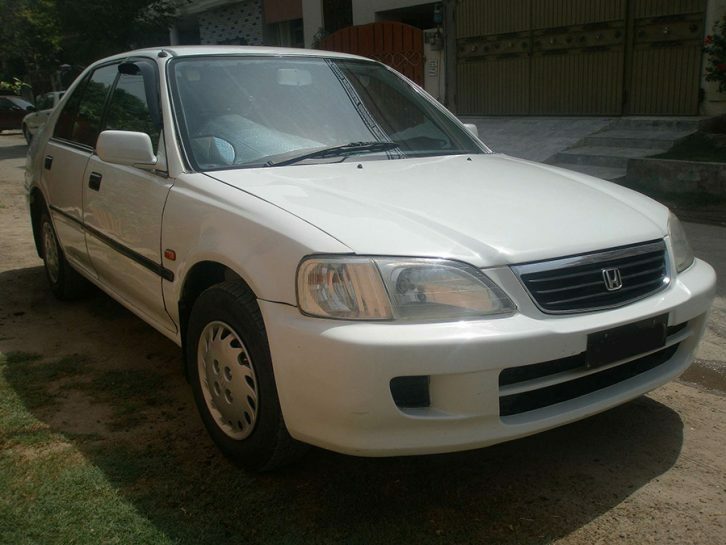 In the recent past (read 10 years or so), Honda Atlas has tarnished its reputation in being pioneers to timely introduce newer models as well as to introduce worthy mid-life facelifts of their vehicles in Pakistan. 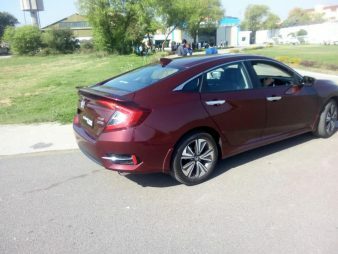 The sort of ‘changes’ that Honda has introduced to the 2019 Civic facelift, as well as what they have been doing with the 5th gen City are akin to what Pak Suzuki has been doing since ages. You can take your pre-facelift model to any accessories shop, slap the cosmetic addons throwing away a few thousands and bingo! 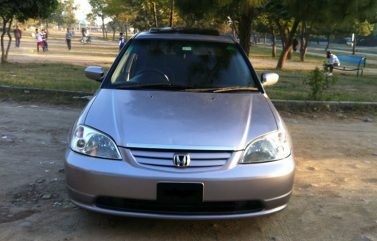 You just made the facelift out of your pre-facelift Honda! However if we look at their past, you will find a day and night difference considering what used to be offered during the 1990s and 2000s and what they offer today. 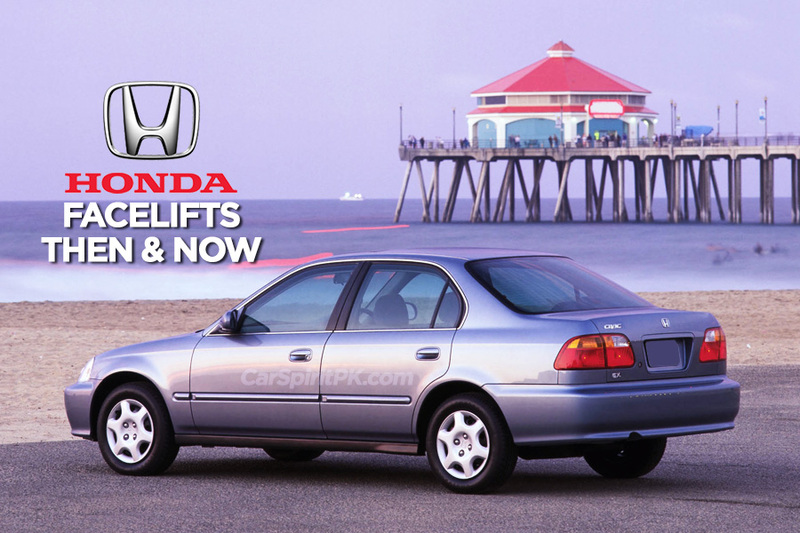 Back in the past, Honda facelifts were worthy to be labeled as facelift. The changes literally refreshed the model in terms of features, performance and aesthetics. It was never possible to just slap new headlights or rims on a car and call it a facelift. 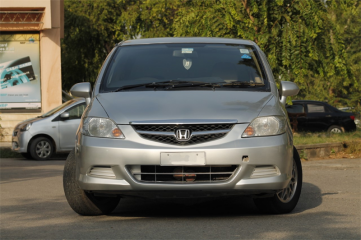 Let us look at some of the true facelifts Honda introduced in our market in the past, and compare them with Honda facelifts of this era. Let’s get it straight… What is a Facelift? 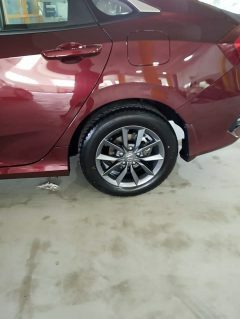 An automobile facelift, often regarded as mid-generation refresh or minor model change, are the changes that are made to a vehicle’s styling during its production run. These include exterior/ interior design elements or mechanical changes allowing a carmaker to freshen a model without complete redesign. A facelift retains the basic styling and platform of the car, with aesthetic alterations, like changes to the front fascia (grille, headlights), taillights, bumpers, instrument panel and center console, and various body or interior trim & accessories. Mechanical changes may as well include engine, suspension or transmission upgrades. In recent times, an automobile is generally designed for a 6-year period. After about 3 years, carmakers introduce a facelift to keep the model fresh for another few years before the new model replaces it. 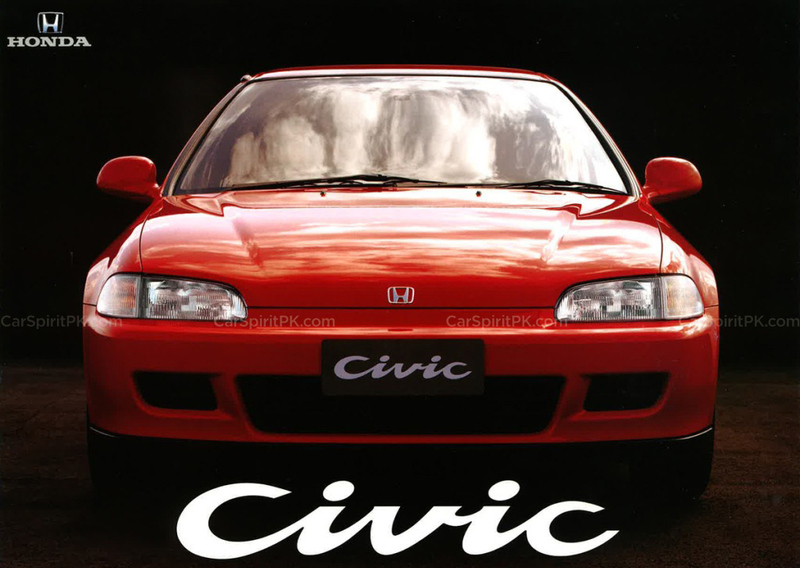 Honda Atlas began their operations with the launch of 5th generation Civic with a 1.5 liter carburetor engine that rolled off the assembly lines on the 26th of May 1994. 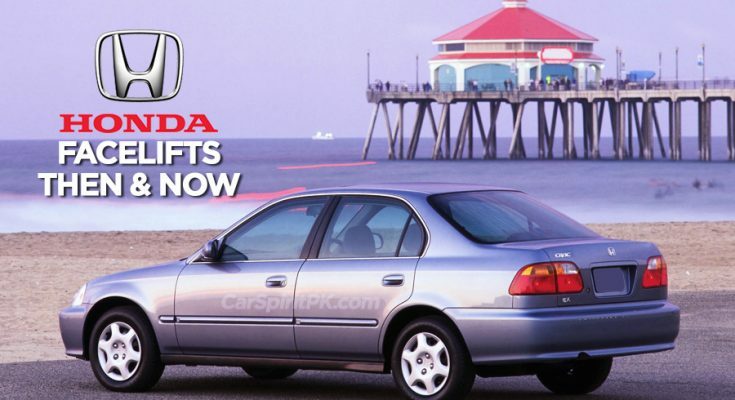 You won’t believe in less than 2 years in January 1996, Honda replaced it with the 6th gen Civic. 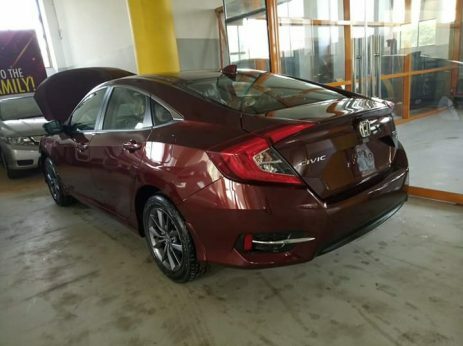 This means the production period of 5th gen Civic in Pakistan spanned for 21 months only. (On a side note 5th gen City has been in production for more than 124 months now). The 6th generation Civic was the greatest head turners of our market with its looks well ahead of its time. With bold crystal headlamps and aggressive & sporty styling, the 6th gen was a jaw dropper and had already won ‘Car of the Year’ award in Japan, before being launched in Pakistan. 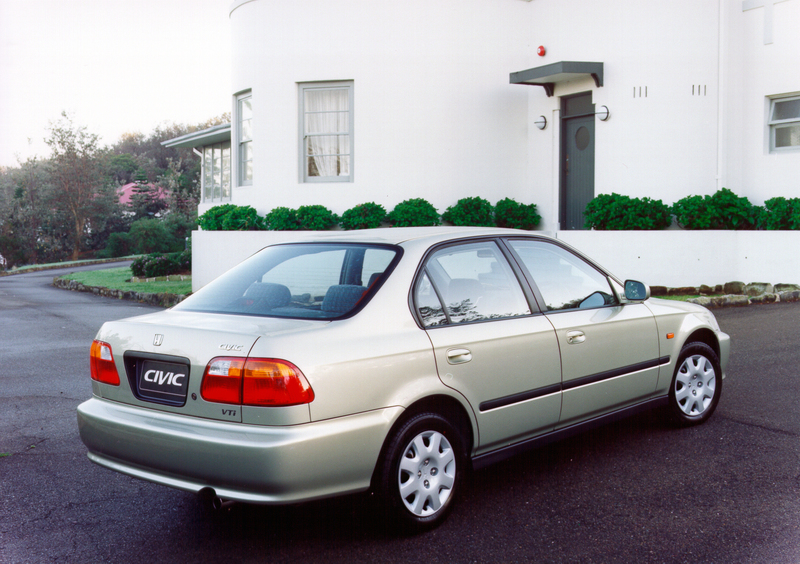 Three years later in January 1999 the 6th generation facelift Civic was introduced and it simply made its award-winning predecessor look dull. The 6th gen Civic facelift is often regarded as one of the most beautiful Civic ever to be made. The crystal headlamps and front bumper design were revised to give a sleeker appearance to the sporty sedan. 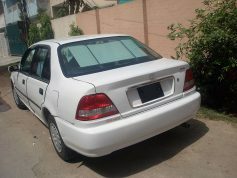 The bumper also had fog lamps housing, which weren’t present in the pre-facelift version. Furthermore the tail lights were completely changed, and by change we don’t mean a bolt-on fit. They grew in size and were stretched horizontally resulting in a revised tail gate and a shrunken license plate holder design. 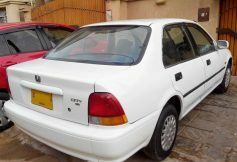 The distribution of the rear combination lamps was also tweaked, with indicator and reversing lamps moved on top of the light cluster, whereas it was placed at the bottom in pre-facelift Civic. The rear bumper was slightly tweaked as well. 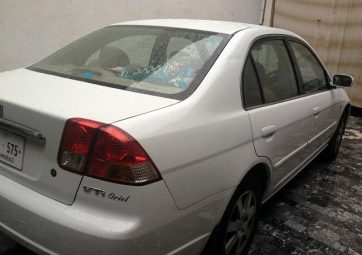 Furthermore the 6th gen Civic facelift saw the inclusion of the Oriel trim for the first time which offered goodies such as sunroof and power antenna etc, something that was not offered with the pre-facelift models. All in all the changes made it look substantially different from the predecessor and the term facelift was quite well justified. The City SX8 is probably the best examples of a facelift that exist in our market. 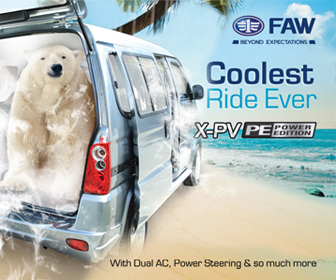 In fact, no other vehicle in our market has even been introduced with such substantial revisions. 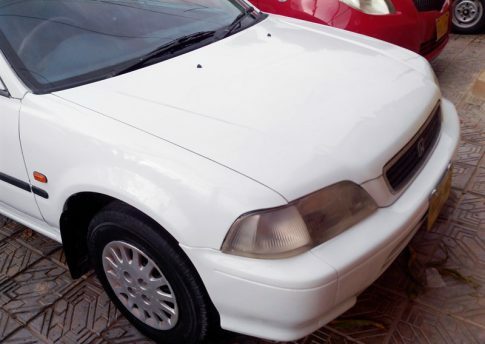 The City SX8 was introduced in our market in January 1997 and three years later in January 2000, its facelift arrived. When the City SX8 facelift was launched, many people took it as a completely new model without realizing the fact that it was a facelift. 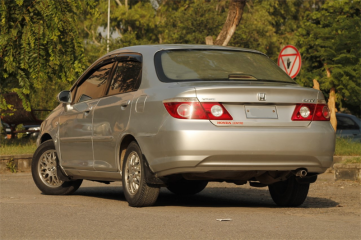 The car was transformed from a sober looking sedan into a typical aggressive Honda. The front-end received major styling upgrades with large crystal headlamps, the 3-piece bumper of the pre-facelift was replaced with a new single-piece bumper as well as a new grille. 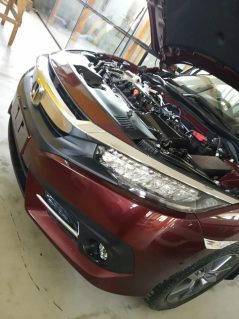 These changes required slight modification to the fenders and hood and it was never easy to apply these updates to the pre-facelift models as a bolt-on fit. The rear-end design was entirely changed too. It got revised tail lights, revised bumper, and revised tailgate with redesigned license plate holder featuring chrome embellishments. The SX8 saw major interior enhancements too. 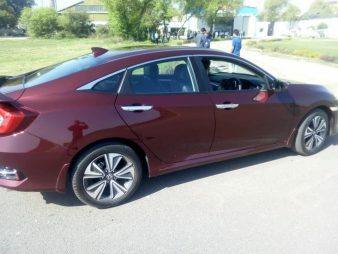 First of which were the door panels which originally came straight from the 4th gen Civic, were upgraded with a modern panel embedded with fabric upholstery, new power windows switch panel and improved door grip. The dashboard was also updated with 3 radial A/C control knobs instead of 1. 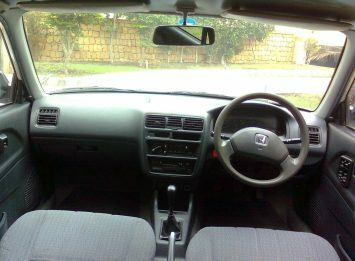 The steering wheel was also updated with a 4-spoke design instead of 2-spoke as in the pre-facelift. Lastly the engine was also upgraded with a PGM-Fi fuel-injected unit from the carburetor engine of pre-facelift City SX8. Furthermore the automatic transmission option was also offered, which was absent in the pre-facelift. These were the sort of improvements Honda was giving to us with a negligible price difference. It was all worthy to spend the money on, and most importantly worth to be labeled as ‘facelift’. 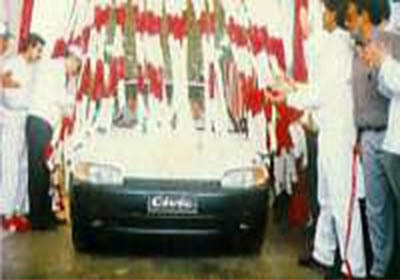 The seventh generation Civic was launched in Pakistan in March 2001. Initially it took some time for people to adapt to the newer design language of the car. Having replaced the gorgeous 6th generation facelift, the 7th gen slowly grew its place among consumers’ hearts. The facelift that arrived in 2004, and is best known as ‘Eagle Eye’ featured a completely different set of headlights, revised bumper with fog lamp housing and new grille. The rear end also had revised tail lamps whereas the interior was beige instead of grey and the dashboard received optitron meter too. 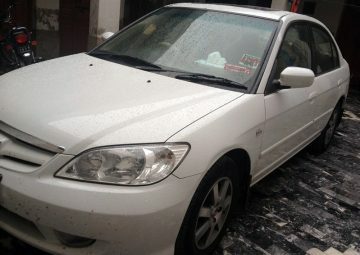 Bear in mind Honda already had to incorporate some of the styling upgrades to the pre-facelift models in 2003 which included tail lights, beige interior and meter cluster amid stiff competition from the 9th gen Toyota Corolla which was launched in 2002. Then came the 4th generation City which was introduced in August 2003 and received a facelift in 2006. This facelift too, was quite different from the pre-facelift models in terms of exterior, though the interior remained largely unchanged. The front end received new headlamps which were different in shape and design and were never a bolt-on fit to the old. The redesigned bumper and grille replaced the old bumpers while the new shape of the headlamps resulted in a slight modification to the front fenders. The bonnet too was revised as the crease at the center of the hood in pre-facelift models was taken away. The rear-end received drastic changes as well, with split-type tail lights, part of which was placed on the trunk and a new rear bumper. Lastly the boot lid received major design revisions as well. 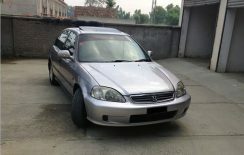 Now having produced such worthy facelifts in the past, Honda Atlas is stuck with cheap cosmetic addons such as chrome strips, new rims and the shark fin antenna. And worst of all labeling these changes as facelifts while trying to justify a rather baseless price increase. 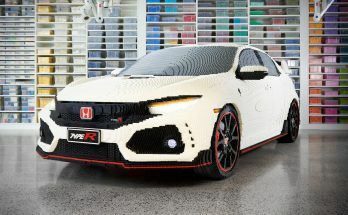 Although the revisions offered with the 2019 Civic facelift in international versions are minimal, but it’s quite surprising to see even those not reaching our market. 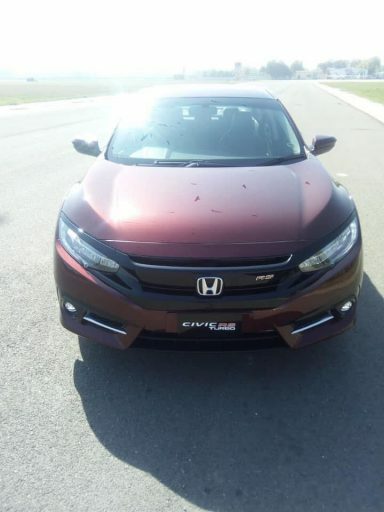 The most significant change with the exterior of Civic facelift was the new front bumper where the lower apron now sports a one-piece look instead of three. Probably Honda Atlas decided to stick with the same old bumper with just an addition of chrome strip, which might have saved them and their vendors good amount of money. 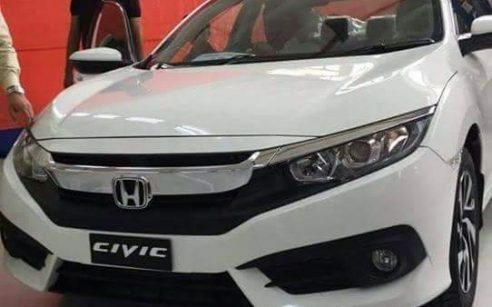 Considering this, do you think the 2019 Civic in Pakistan is worthy to be labeled as a facelift? Do let us know with your comments. Honda atlas looting people. Civic turbo is 3.8 milion you got to be kidding????? Nicely put. I had the City 2000 model. It was a wonderful car and huge improvement then before. Can;t believe it’s the same Honda company we’re talking about. They have really lost their vision. Not at all! This Civic is a sham. Even some road corner auto-decoration shop’s Sajju ustaad can do these using off the shelf parts. Please note that new “ECM” is also a lie. It is the same old ECU with the already offered modified firmware to mask knocking symptom. 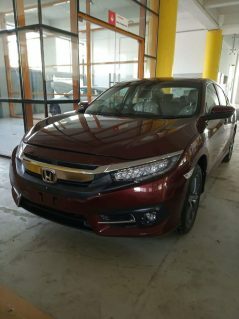 This is just a marketing gimmick/lie to try to save Civic Turbo’s bad reputation and resale in market.